Gillian is recognised as a sports dietitian with a PgCert in Applied Sports Nutrition. She is committed to providing nutritional advice that is scientifically evidence based, to help maximize your performance. Ensuring the quantity and quality of your energy intake is appropriate will be a priority before, during and after exercise. 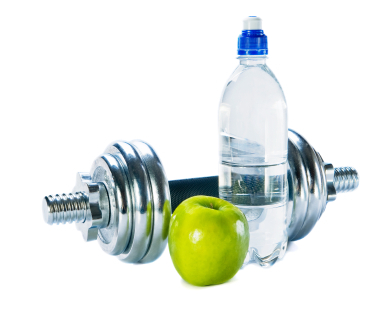 Hydration, timing of meals and snacks and the use of supplements can all also be covered. You may want to discuss particular concerns relevant to your sport (foods for concentration, keeping weight within desirable levels, etc). Medical history, diet history, lifestyle and food preferences. From team sports to ultra marathon and triathlon competitors, Gillian can help you reach your full potential. If you have a competitive sports club or sporting school in Co. Wicklow or South Dublin and want to improve nutrition practices, Gillian can come and talk to the club members, pupils and coaches on optimizing nutrition for training and matches. Gillian can also give presentations to local sports clubs throughout Wicklow and Dublin at your convenience. Often this is a good way to help athletes improve on their sports performance as well as find out the latest evidence based guidelines on sports nutrition.